[sou-er-puss]-n. 1. a person having a grouchy disposition that is often accompanied by a scowling facial expression. 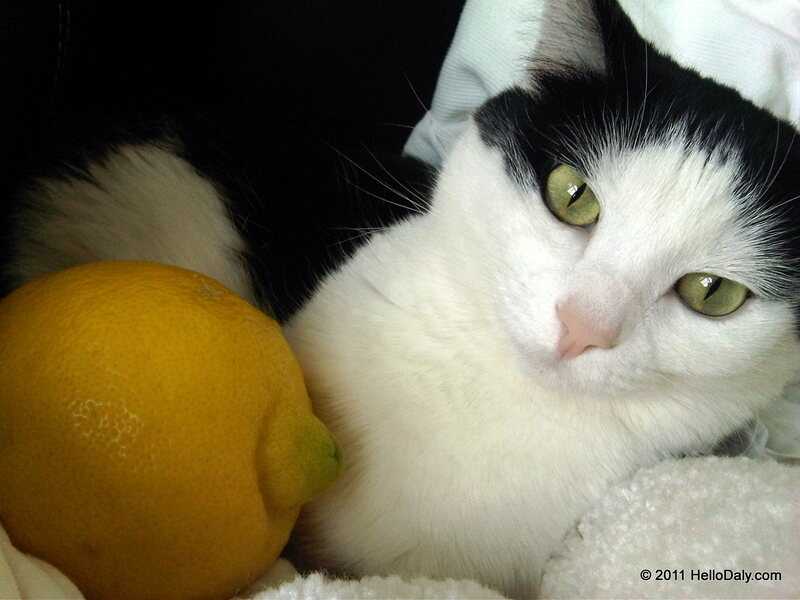 She did not like taking pictures with a lemon but she was a good photo subject, if only for a moment when I snapped the shutter. 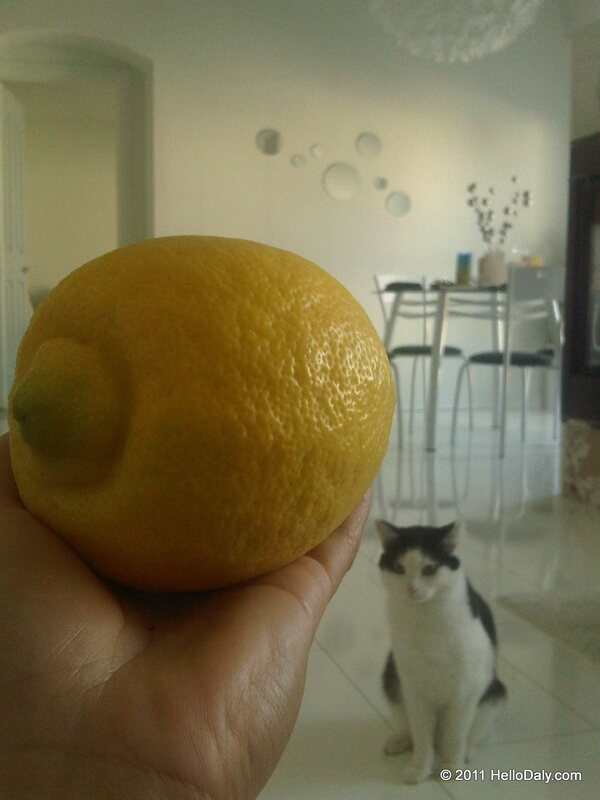 This lemon was picked from a tree where I stayed for Girl's Weekend. It measures nearly 5 inches across and weighs approximately a full pound! I think it is the size of Elgy's head--counting her fluffy hair or bigger. A tip I learned about shopping for grapefruit that would also apply to lemons...when picking one go for the heavier piece for they have more water content and most likely less pith. Elgy says "don't pith me off". LOL!